Math in Our World presents the complete range of math concepts and skills students are expected to master during the first grade. The series moves sequentially, from easiest to hardest concepts, with each book covering a different math topic. The first volume reviews the math concepts students learned in kindergarten. 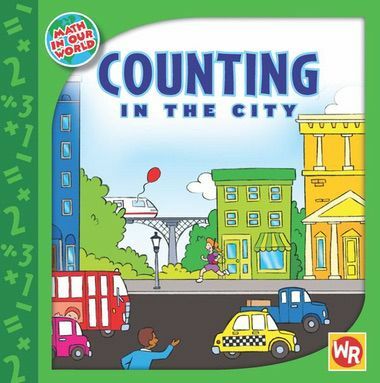 The next six books cover counting, adding and subtracting, tables and graphs, money, patterns, and measuring. The eighth volume is a summary of the math concepts students have studied throughout the year. The text in each book has been carefully leveled to match students' reading skills as they progress from the beginning of first grade to the end. In addition, each book presents situations that show the relevance of math to children's daily lives.